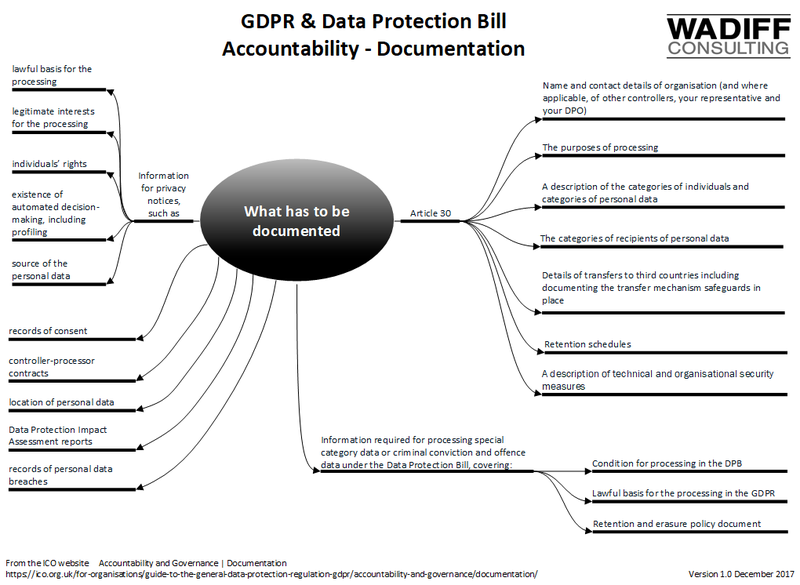 Details of documentation requirements for Accountability and Governance under the GDPR and Data Protection Bill are on the ICO website. A mind map has been created to act as a quick reference. Click on the image to view the full-size mind map. You can use the Checklist on the ICO website page to track what has been done. ← It was bound to happen…was it a problem?